Why Would You Ever Lock A Mailbox In The First Place? Apartment complexes, condominiums, or some residential neighborhoods with home associations keeping the community feel intact sometimes have community mailboxes, also called cluster boxes. These mailboxes are located in one central location, either at the driveway entrance to the neighborhood or complex, or inside the front lobby of the housing office. 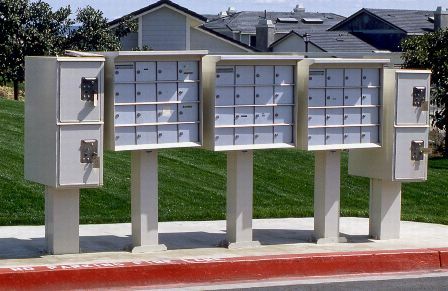 These community mailboxes make it very convenient for the mail carrier to efficiently deliver mail for the entire complex or neighborhood while still designating your personal mail into your assigned community cluster mailbox. You receive your mail in your box, but your box is located or attached to a group of other mailboxes held by your neighbors. Because your mailbox is one individual box among several, each box has its own lock and key so that each owner of the mailbox may have access to their own individual mailbox for retrieving personal mail. Community mailbox or cluster box systems usually come equipped with the same or similar style of locks. They have a fairly basic cut key style with a rounded lock component held into place with a clamp bar on the inside door of the mail box. 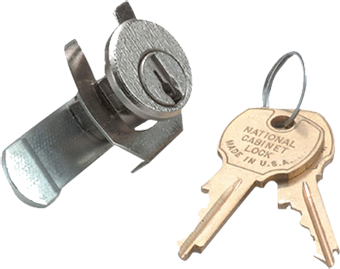 These mailbox lock are not difficult to replace if you understand locking systems and have the skill, parts, and tools to get the job done. For a trained locksmith, a mailbox lock change can be performed in no time at all and for a reasonable cost. Why Change the Locks on Your Mailbox? With this logical and very efficient system in place for delivering and retrieving mail, why would you ever need to change any part of it? There are a few reasons why you may find yourself wanting or needing to get a mailbox locks change. If you had your house built within a neighborhood that uses community mailboxes, then you are the first and only person to ever have access to your assigned mailbox. However, living in a mobile culture means that people move frequently. Chances are your mailbox had a previous owner. This means it is possible that there is a duplicate key floating around in the hands of someone you don’t know. Since you don’t know them, you don’t know whether or not they are trustworthy. One of the most unsettling feelings that shake your sense of peace and security is when you are going through a divorce or breakup of a relationship. If that relationship involves a person who has access to your mailbox keys, your security is at risk. When you do not trust the person who has a copy of your keys, the best thing to do is to change out the entire locking system to ensure you are the only one who has access to your privately assigned mailbox. Loosing keys happens all of the time, but thankfully it doesn’t happen to you every day. When you lose your keys, you cannot be certain that they are not in the hands of a stranger who may want to cause harm or do damage to your possessions inside your mailbox. It is a very sound reason for getting a mailbox lock change to start fresh knowing you are the only one who has access to hour mailbox and its contents. Cluster boxes that are designed for a community mailbox system are often located outside. These boxes sit all day in the weather elements, and it’s not just rain that causes damage. Sunshine, excessive heat, cold, and snow cause damage as well. Ice often gets inside the locking components and freezes them which weathers them even more. Locks start to rust and show wear. Dust gets inside, and locking mechanisms gum up and stop working properly. When the lock malfunctions or breaks, it’s time to get the mailbox lock changed to make sure they work properly when you need to gain access to your mail. Is It A Federal Offense To Change A Mailbox Lock? What Is Involved In A Mailbox Locks Change – How Difficult Is The Job and Who Can Perform It? While a mailbox lock is made up of fairly simple, basic lock and key parts, a mailbox is not just locked box. It is the property of the United States Postal Service and is protected under Federal Law making it a federal violation to tamper with its contents. Because the mailbox has been assigned to you for use, you are an authorized user. You can request that the locks on your own mailbox be changed by a qualified professional locksmith provided you show proof of identification. Show Proof Of Ownership And Proper Identification. The reason for this is so the locksmith can provide you with a mailbox lock change only after proving you are the proper person who has access to that particular mailbox. When the locksmith arrives to perform your mailbox lock change, he will ask to see proof of residence and a form of ID that shows you have authority to access to mailbox. Once the locksmith verifies that you are who you say you are, the professional locksmith will start to work to provide you with a mailbox lock change.